Palos Verdes Villa is an exciting senior living community in the Los Angeles area offering everything you or your loved ones need and want in retirement living. Our accommodation, amenities, social programs and activities are exceptional! Plus our meals and dining are simply exceptional, as well! Our Senior Living retirement community gives you or your loved ones the freedom to enjoy life with the peace of mind that everything is well taken care of for you or them. Our courteous and professional staff is waiting to serve you a wonderful meal, or tidy up your apartment suite and take care of the household chores. What else is there to do but to experience all life has to offer? Situated on a hilltop in Palos Verdes with ocean views and breezes we offer both private and semi-private furnished apartment suites each with a luxurious private bathroom. What better place to retire than Southern California? Palos Verdes Villa is minutes away from the beach and the historic waterfront and arts and craft district of San Pedro. Just some of the year round events and activities include the Farmer’s Market, the Golden State Pops Orchestra, the Little Fish Theatre Company, Cabrillo Marine Aquarium, and the First Thursday Artwalk and Fine Dining. In the spring you can attend the LA Harbor International Film Festival. In the summer you can attend the Fourth of July Spectacular, Mary Star of the Sea Fiesta, Shakespeare by the Sea, and the Taste in San Pedro. In the fall you can attend the Port of Los Angeles Lobster Festival and the Halloween Sea Scare. In the winter you can attend the Los Angeles Harbor Afloat Boat Parade and the Holiday Spirit of San Pedro Parade. 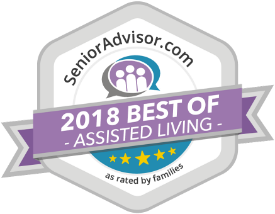 In Rancho Palos Verdes near Los Angeles California, Palos Verdes Villa is the best senior living community for you or your loved one at this time in their life. Call 310-547-9941 to schedule your free tour and lunch today! Or you may send us a message by clicking here and filling in ouronline form.